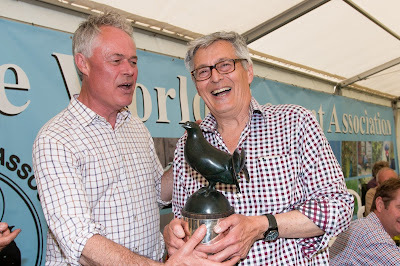 I spent a hectic and exciting few days working for the CPSA at the World Sporting Championships, at EJ Churchill's shooting ground near High Wycombe. It was a terrific event, with all the atmosphere and excitement that you'd hope at a World Championship. That was no accident - the organising team from EJ Churchill, the CPSA and many more had worked hard to make it an event to remember. I remember working in the Press centre at Woolwich at the London 2012 Olympics, and watching open-mouthed as radio reporters and videojournalists compiled their reports on laptops, uploading the finished pieces direct to their newsrooms. How times change! Here was I doing the exact same thing - interviewing a sponsor or a winner, then rushing back inside to knock out a quick edited version to upload to YouTube, Facebook and the rest. It was every bit as exciting - and nerve-racking - as I'd imagined. Normally I can take my time over an edit, fussing over a cut, tweaking the colour balance or the EQ on the audio. Here time was everything. I quickly learnt the value of having a basic "that's good enough" colour grade and EQ preset to throw onto everything, and covering up the odd jump cut with a simple lens flare transition. The results looked a little rough around the edges, to my eye at least, but they did the job. It helped enormously that I had prepared some title graphics and selected a piece of royalty free music in advance. It meant I didn't waste valuable time at the venue, and it added a degree of polish. All in all an exciting few days doing "real" videojournalism, a valuable learning experience, and most of all the client was happy with the results. So happy in fact they sent me a thank-you card. Isn't that lovely? People so rarely bother with cards nowadays, but it meant a lot to me. I must give a quick shout-out to Lucy and Kate from Tweed Media, who were in charge of the social media side of things - posting a massive amount of material on Facebook and Twitter, and generally building the excitement around the event. Also to the lovely folks from Bucks New Uni media department, who were filming for EJ Churchills and were very forgiving when I stole part of their desk. Oh, and Carlito's Coffee which kept me going through the long days - a lovely guy selling some seriously good coffee! Every time I look at this blog, I'm horrified by how long it is since I last posted. My excuse is that I'm rather busy. It is only an excuse - I'm sure I could make time if I tried, but there's so much else to do! 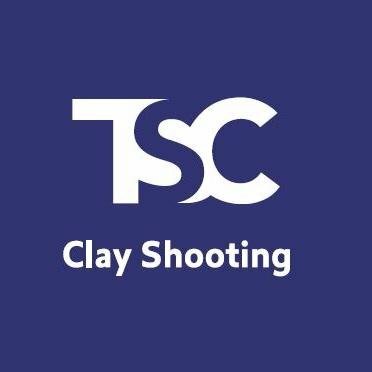 Since January I've been running the TSC Clay Shooting channel on YouTube. TSC, or The Schools Challenge as it was known, is an excellent initiative devoted to encouraging young people to take up shooting, identify talented individuals and encourage and help them develop into the shooting stars of the future. 2016 Olympian Amber Hill, for instance, cut her shooting teeth with the Schools Challenge, and there are other promising youngsters following the same path - Tom Scott for one. Plus I'm busy producing video content for other channels too. Take this week, for example. If you're a fan of shooting videos, you've probably watched several pieces I filmed and/or edited, probably without even realising it. There's usually a credit at the end, but who reads those! In the meantime, I've also produced a couple of IT training videos for a bank, done a selection of photos for a shoot, and even managed to win a charity clay shoot myself! I'm rather proud of that one. It was the World Pheasant Association shoot near Stockbridge, and I get to have my name engraved on this splendid trophy, a black grouse sculpture by the talented Simon Gudgeon. Yes, that's me on the right, sharing an inappropriate joke with Jonathan Young of The Field. So that's my week so far. Who knows what Friday will bring? 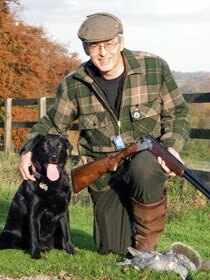 But I'll be heading out with foxshooter Robert Bucknell to see if we can film him shooting a fox. Always a challenge that one - how many videographers are happy to work singlehanded off the back of a pick-up truck in total darkness? Filming a wary animal that most people only get a fleeting glimpse of at the best of times? I'm not complaining. I love it! The only thing is, it does rather distract from updating this blog.